The team at Springs Promotions are very excited to welcome EZGO Carts on board as a partner of Speedway at the Western Springs venue for the next 2 seasons. 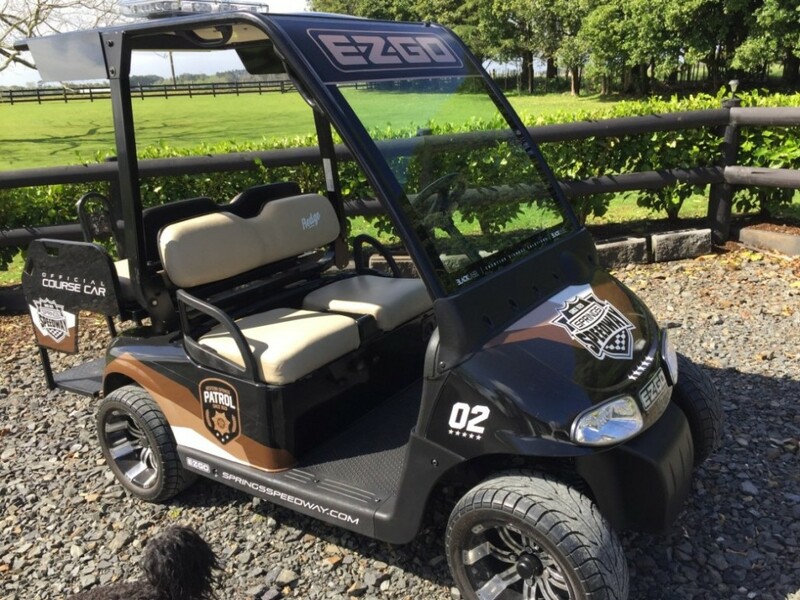 EZGO Carts is based in Papakura, Auckland, and has been operating in New Zealand for over 30 years as the exclusive distributor for EZGO Textron USA, a Fortune 500 company. “Our range of vehicles now includes several variations, which range from new and used Golf Carts to the fully commercial range capable of almost anything” said Peter TALIJANCICH – Director. EZGO see the partnership with Speedway as an extension to those already had with the likes of Steven Donald, Auckland Viaduct Harbour, New Zealand Fashion Week, and a many golf tournament’s including the recent Steven Adams Invitational. The season kicks off at Western Springs on Saturday 3rd November with full fields of competitors in all classes, and the night will finish with the Guy Fawkes Display. Gates open at 4pm.